Accenture has announced the appointment of Debra (Debbie) A. Polishook as group chief executive – Accenture Operations, succeeding Michael (Mike) J. Salvino, who will retire from the company and join Carrick Capital Partners, an investment firm focused on technology-enabled businesses. 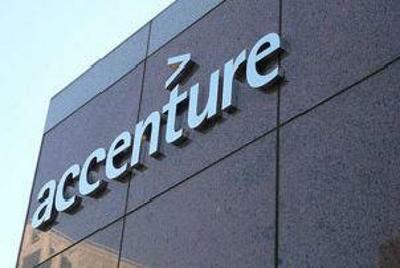 Accenture named Manish Sharma group operating officer – Accenture Operations, succeeding Polishook. These changes are effective September 1, 2016. Polishook, 55, is currently group operating officer for Accenture Operations, which is one of Accenture’s five businesses and has more than $7 billion in annual net revenues and 100,000 people globally. In her new role as group chief executive – Accenture Operations, Polishook will join the company’s Global Management Committee. Sharma, 48, based in Bangalore, India, is currently senior managing director – Global Delivery & Solution Development for Accenture Operations. In his new role as group operating officer – Accenture Operations, Sharma will continue as a member of Accenture’s Global Leadership Council. “I am incredibly proud of the team and the market-leading business we have built in Accenture Operations,” said Salvino. “Debbie is the perfect choice to lead Accenture Operations. We have worked side by side for the last six years, and much of our success has been a direct result of her leadership.